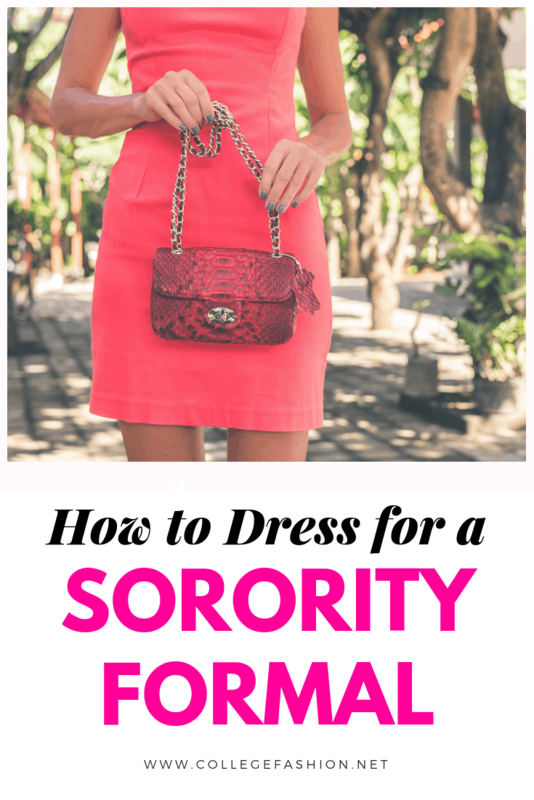 Sorority formals can be tricky to dress for, but they don’t have to be! 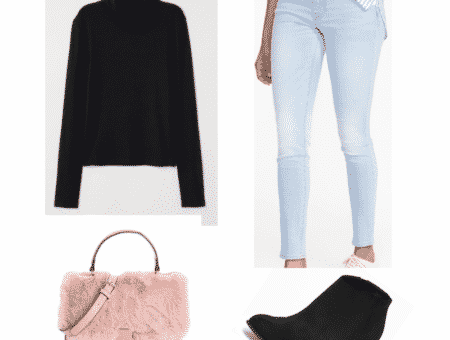 Here are some easy outfits sure to win you fashion points. Sorority formal events are so much fun — they’re an amazing chance to dress up, get some amazing pictures with your friends, and have a blast! If you’re a first time sorority member, you are probably a little confused on how to dress for a sorority event and that’s okay! 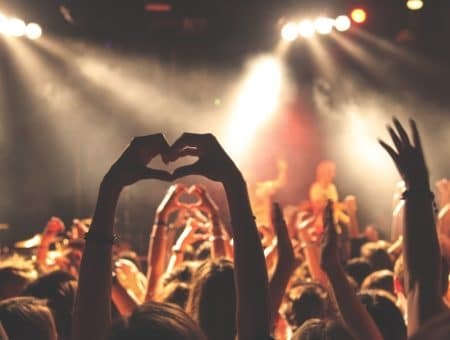 Whether you’re new or a seasoned sorority girl looking for some tips for your next formal event, this article will help you decide what to wear. Dress code-wise, sorority formals aren’t as formal as Galas or those celebrity red carpet events we all follow, but they are meant for you to dress up and have fun! Typically, college formals follow a semi formal dress code. Need some examples? Here are some sorority formal outfits to get your inspiration going! If you’re the person that all your friends turn to for fashion advice, then this outfit is ideal for you! This dress is a beautiful maxi dress with a long slit to make a dramatic entrance and to show off your legs! It also features that trendy snakeskin print that we’ve seen everywhere this season. Since the dress is bold, go sleek and minimal with your jewelry for a modern look. I love this simple bracelet and layered necklace combo. As for shoes, peep-toe stiletto heels are perfect to go with this maxi dress. The colors go great together and everything you wear in this outfit goes perfectly together but also makes a statement on its own. To bring this outfit together, a little clutch is all you need. For those of you who prefer shorter dresses for your sorority formal outfits, that’s totally acceptable! This specific dress is a bodycon dress, so it outlines your body perfectly and will make you feel great. It definitely shows some skin, so confidence is a must. To make your outfit stand out even more, pair this dress up with lace up perspex heels. These heels are so pretty but they don’t detract from the dress. Now it’s time to accessorize. I recommend tying your hair into a ponytail and putting on this thin piece of hair jewelry — it’s unexpected and cool. To complete this outfit, add simple gold earrings. Don’t forget that you’ll need a little purse to keep your phone and accessories. This clear one is ultra trendy. 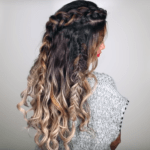 If you’re looking for a more casual, sweet type of look for your college formal, this is a winner! This outfit is centered around a gorgeous lace romper. This piece is perfect for the spring and will look great at a formal where the dress code is a bit more relaxed and cocktail attire-centric. This romper would be cute for daytime too, but here we’re dressing it up. Start with these cute high heels. I love the springtime-appropriate color, and the price point is amazing too! Accessory-wise, a nice bracelet and a choker will give your look some extra pizzaz. A trick to look bronzed and gorgeous at a formal is adding a little bit of body shimmer to your legs and shoulders. We recommend Rihanna’s body shimmer because it is beyond gorgeous and you’ll look stunning in all your photos. What do you wear to a sorority formal? Whether you like wearing fancy dresses or shoes that make a statement, sorority formal events are the perfect time to get dressed up and take tons of photos! So hopefully these outfits give you an idea of what to wear to a sorority formal. At the end of the day, just have fun and be confident in what you wear — like they always say, happiest girls are the prettiest.